Say what you mean, and mean what you say. It’s good advice! But there’s a problem, one which I addressed in a footnote to the post linked to above. We use words to say what we mean and mean what we say. The problem is that any given word can have more than one meaning or “sense”. Consider the following three quotations about rights. From the founder of Utilitarianism, Jeremy Bentham. That which has no existence cannot be destroyed — that which cannot be destroyed cannot require anything to preserve it from destruction. Natural rights is simple nonsense: natural and imprescriptible rights, rhetorical nonsense — nonsense upon stilts. From blogger Mark Hubbard (channelling the inimitable Ayn Rand). my thinking on children is they have no rights per se – don’t take that out of context – as they don’t have the experience or formed minds to exercise judgement. From Thomas Jefferson, author of the American Declaration of Independence. The question is, are these three great thinkers actually (for the most part) disagreeing with each other? Or are they (for the most part) talking past each other? I think they’re talking past each other, because they’re not talking about the same thing. There is a fix. We can talk about Benthamite rights, Randian rights and Jeffersonian rights, and avoid talking about rights sans qualification. But what a chore to have to do that! Wouldn’t it be nice if words had univocal meanings? But they don’t. 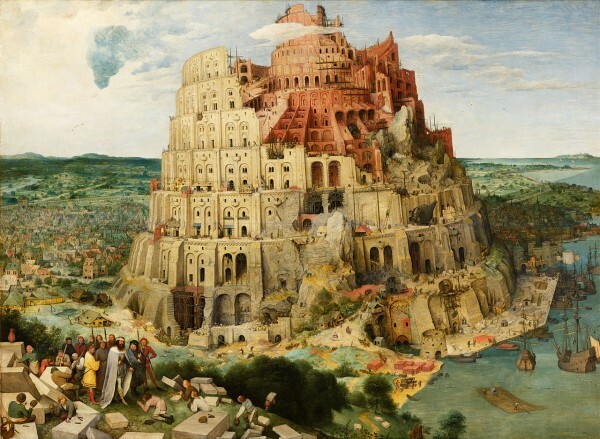 Ambiguity in language is a modern-day Tower of Babel. I don’t know when ambiguity of meaning crept in to our language(s). But when it did, it was a disaster waiting to happen.